Scotland and Sussex batsman Matt Machan has been forced to call curtains on his career at the age of just 26 because of a wrist injury. The left-hander had earlier ruled out of the second half of the 2016 English domestic season in order to undergo surgery on what his Sussex coach Mark Davis described a `repetitive` wrist injury. However, Machan, who was a part of the Scotland squad in 2015 World Cup as well as in the 2016 World T20, failed to alleviate the problem fully by going under the knife and, now, he has decided to retire from the game. Deeply saddened to announce the news, Machan insisted that he had taken the decision following a medical advice and keeping in mind his long-term health. "It is with great sadness and an extremely heavy heart that I have to announce my retirement from the professional game due to a wrist injury. Following medical advice, my long-term health is most important to me and I have to take that into account," cricket.com.au quoted Machan as saying. The 26-year-old, who made his international debut in 2013, also said that he feels extremely sad to see his career curt short at a time when he just started performing at his menacing best. With the development, Machan became the latest cricketer in his mid-20s to announce shocking retirement this year. In April, Surrey and England all-rounder Zafar Ansari called curtains on his cricketing career at the age of 25 while NSW batsman Ryan Carters bid adieu to the game in May at the age of just 26. 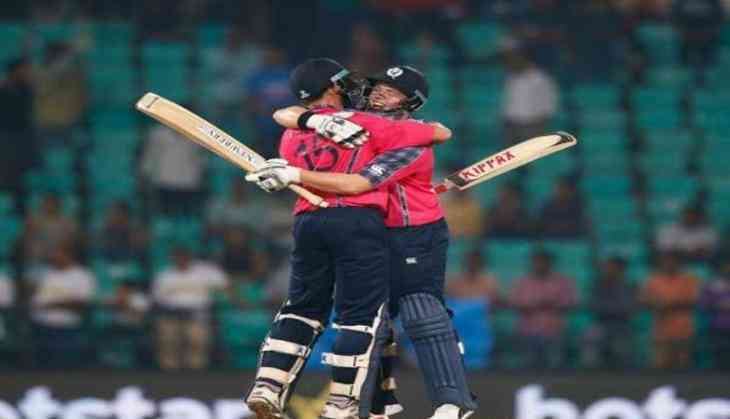 Machan, who appeared in 36 matches across ODIs and T20Is and scored 1,141 runs with six fifties and one century, will be best remembered for his match-winning performance during Scotland's breakthrough victory against Hong Kong at the World T20 last year. He smashed 15 runs from just four balls, including a six, to finish the match and hand Scotland their first major victory at a world event after 17 years.